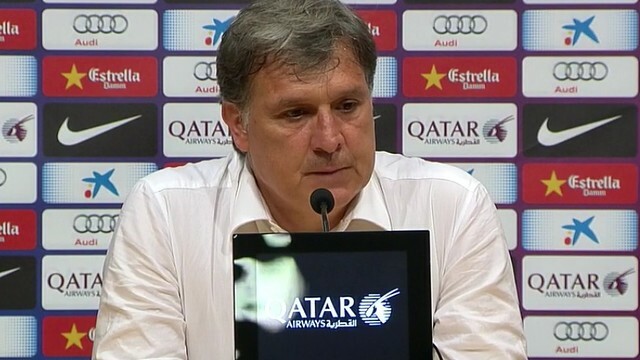 “By mutual agreement I will no longer be FC Barcelona’s manager.” The manager ‘Tata’ Martino announced the news this Saturday after the game against Atlético Madrid. The Argentinian held a press conference with Football Director Andoni Zubizarreta just after this afternoon’s game. “I profoundly lament not meeting the objectives this Club has always set for itself, and managed to attain.” Martino thanked the players, coaching staff, presidents and the rest of the members of the Club that helped him throughout the 2013/14 season.